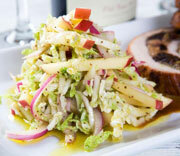 Our Fuji Apple Slaw is a great served with our Apple-Stuffed Pork Loin, chicken or with any hearty, flavorful fish. Washington-grown, organic Fuji apples are below half price this week! The most remote destinations become instantly familiar when you bring along a travel candle. 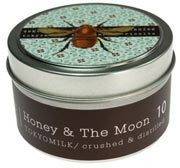 This deeply fragranced soy-wax blend burns evenly from the first moment to the last. It comes in subtly sweet scents including Honey, Sugared Violet, Jasmine and Sandalwood. The ancient Greeks called honey “the secret of eternal youth,” and we bet you will agree! Tap the secrets of the ancients and try the time-tested blend of honey and calendula for super-soft and luxurious skin. 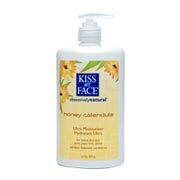 Honey Calendula Natural Ultra-moisturizer from Kiss My Face will leave skin soothed using honey’s healing properties. Check out our weekly ad (3 MB PDF) to find even more great savings this week! 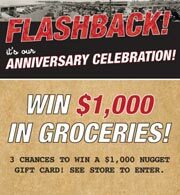 In celebration of our 84th anniversary, we're giving away $1,000 Nugget Markets gift cards to three lucky guests! Enter in any Nugget Market for your chance to win! No purchase is necessary to enter. See store for details. Visit the Nugget Market on Covell Blvd. in Davis from 3 p.m. to 6 p.m. for a free demonstration of Bella Dry Skin moisturizing body bar. This soap provides soothing relief to those with eczema and dry or sensitive skin; enjoy free samples from Bella founder Louise Dutton. Prices valid 10/6/10 – 10/12/10. Our Fresh to Market all-natural, pure, raw, local honey is in stores now! Join us as we take a trip to the farm for an inside look into the world of a beekeeper. 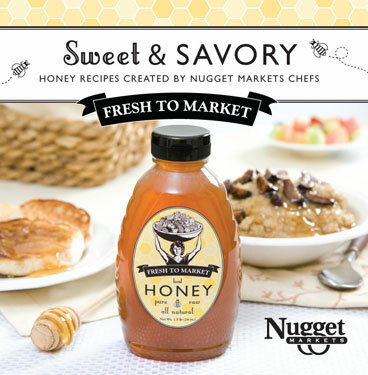 For more honey recipes pick up one of our free honey brochures in stores now. This dip is exactly what it appears to be — fun and simple. Chipotle peppers made an enormous splash on the food scene a number of years ago, and they still maintain a big presence in a variety of food styles. 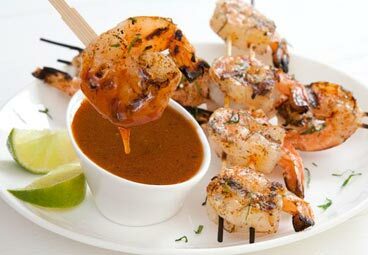 Use this dipping sauce for everything from fried chicken tenders to grilled prawns. Bees are downright amazing. They communicate with each other through dance, they evaporate water from honey in their hives by flapping their wings, and they visit more than 2 million blossoms just to create one pound of honey. During a bee’s quest for nectar, it collects and spreads pollen, playing a critical role in pollinating our local farmlands. As a result of our happy honeybee’s unique talents and travels throughout Yolo, Solano, Colusa and Sacramento counties, honey contains beneficial enzymes and bee pollen. Fresh to Market honey is pure, raw and all-natural, which means it is extracted and filtered in such a way as to keep those beneficial enzymes intact. An added bonus? Many believe that the trace pollen contained in local honey helps reduce seasonal allergy symptoms. We have good reason to believe that after you try our spectacular all-natural honey, you too will want to spread the word about our amazing little friend, the honeybee. Sweeter than table sugar: Calorie for calorie, honey tastes sweeter than regular sugar. This means fewer calories when you use it in recipes or to sweeten your iced tea. You’ll have to do a taste test because honey and sugar don’t measure up teaspoon for teaspoon — honey has more carbohydrates and calories per teaspoon (23, versus 16 for table sugar), because honey is a liquid and denser than dry sugar. Exercise booster: Studies show that the sugars in honey are well digested and get into circulation quickly. This makes a tablespoon of honey along with a cup of water an excellent pre-workout energizer. And during a long workout, a tablespoon or two of honey also helps boost endurance (take it with some water).